Congratulations to our Client Herbal ZAP! for their feature in The Healthy Moms Magazine! 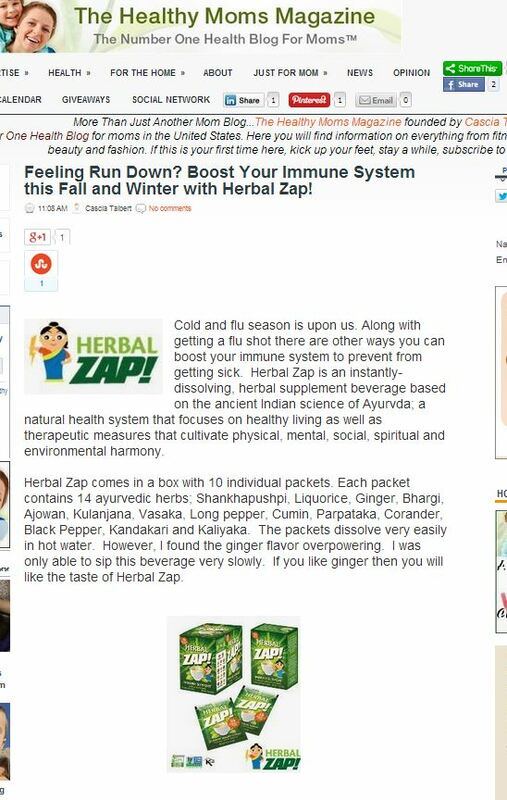 As we head into the winter months, Herbal ZAP! has the immune boosting support that your body needs! Check them out at HerbalZap.com!